Happy Monday everybody! This giveaway couldn’t have been more timely! We just had a cold front blow through and the weather this weekend was absolutely beautiful — cool, crisp and sunny. Friday I had dinner with girl friends since Christine was in town from New York. We had a late night, but it was a total blast and great to see all my gals. Saturday we watched the TCU game, did some fun grocery shopping and cooked dinner at home. It was such a relaxing night, but just what I needed after a super busy week. Yesterday I went to brunch with girl friends, cooked a really tasty pot roast and checked things off my never-ending to-do list. 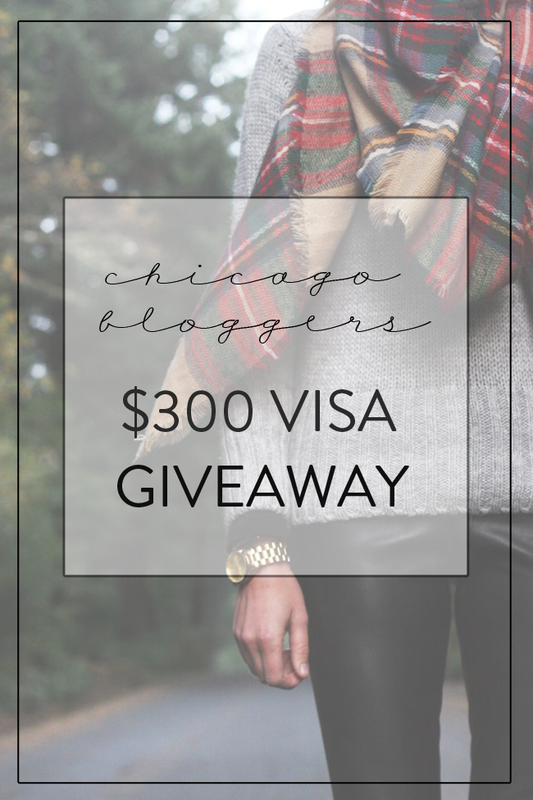 Onto the good stuff — along with some of my favorite Chicago bloggers, we’re hosting a $300 Fall Giveaway! Why? Why not?! It’s the beginning of a new season and we know that everyone could use a little help getting their wardrobe ready for cooler temps. I’ve been thinking hard about this season’s purchases and right now these slip-ons and this beautiful and affordable black dress are high on my list! Tell me what’s on yours and go ahead and enter the giveaway!